When you visit The Power Place, dress casually and comfortably! We are far more concerned with meeting your real life needs than with what you wear. Be sure to come early and enjoy a hot cup of coffee, a donut or muffin and meet some new friends in our cafe area. Our goal is for each service to be powerful, fun, creative, and relevant to your life. Our services begin with high energy praise and are followed by a creative and down to earth message from Pastor Greg. Each service allows you to not only encounter God, but equips you for the week ahead. We have exciting programs for kids of all ages, including a clean and safe nursery called Short Circuits, for birth to 5 years. There is also a 3-5 year olds class designed just for them. You will even be given a digital pager, so that if your child needs you, we can contact you right away. Your children, ages 5-12, will take part in a fun-filled age-appropriate service designed just for them. Live Wires will be dismissed from the main service after the worship time. Our children's services are high-energy experiences that include fun, games, multimedia, and a caring staff led by Pastor Isaiah & Brittany! They know how important it is for kids to enjoy church! Your kids will beg you to come back each week! Your young people will love High Voltage Student Ministries. HV is the place to be for students (7th-12th grade) in this area every Wednesday @ 6:30pm. Pastor Elijah & Ashlee and their committed team are having a blast and are bringing life-change to young people every week. Verve is a place where college aged young adults (18-35) & young couples can find a place to belong. 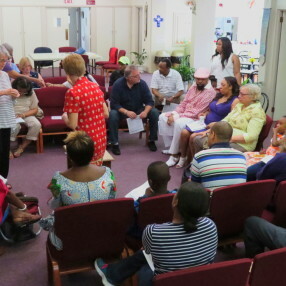 Every other week events are held in order to build relationships with one another, as well as high energy services once every other month. Check the Events Calendar for upcoming Verve events. Come and find your place here, where we'll welcome you with open arms. Rejuvenate at Verve. 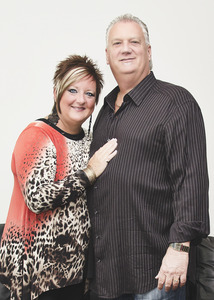 Greg and Kristie Hollis feel like they have been in ministry their entire lives. Greg was born into a minister's family and Kristie is the daughter of Dave Kyllonen, baritone/bass singer of the gospel singing group The Couriers. They were both raised in godly ministry families and have enjoyed sharing the hows and whys of the Christian life in a very down to earth style. God has had His hand on them from a very young age. Both of them have been ministering since their teenage years. Greg graduated from Central Bible College in Springfield, Missouri in 1981 with a Bachelor of Science degree in Biblical Studies. He is an ordained minister with the Assemblies of God. Greg and Kristie were married on June 6, 1981 in Kristie's back yard in Camp Hill, Pennsylvania. They have three wonderful children who join them in their passion for ministry...Elijah Tyrone, Isaiah Threll, and Alexsondra Kabri. Greg and Kristie have been youth and music pastors, missionaries, parents, co-pastors, recording artists, evangelists and now church planters. Greg has also recently released his first devotional book entitled "Daily Dew". 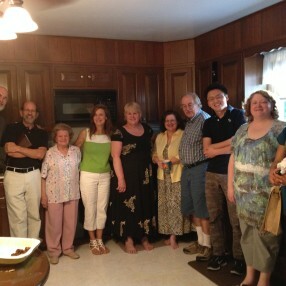 Traveling around the world in ministry has given them a global perspective on life which impacts everything they do. Their ministry calling is summed up in Luke 1:17 "And it is he who will go...in the spirit and power of Elijah, to turn the hearts of the fathers back to the children, and the disobedient to the attitude of the righteous; so as to make ready a people prepared for the Lord." 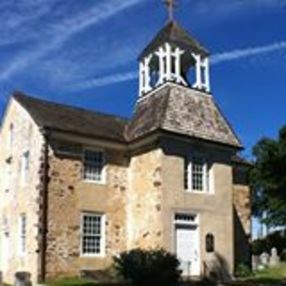 In August of 2003 God began to deal with them to start a church of impact on the East Coast and that is why they have come to Chester County. Greg has always said "the world doesnt need just another church...it needs a place where people can be touched by the awesome power of Almighty God! Life changing power!" 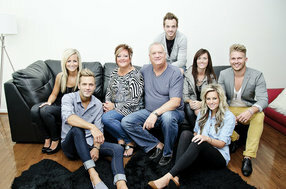 Greg and Kristie's passion and God given assignment is to usher people into the presence of Almighty God. The Power Place was born out of this passion and the dream has become a reality. Go here? Tell us why you love The Power Place. Visited? Tell us what a newcomer can expect. 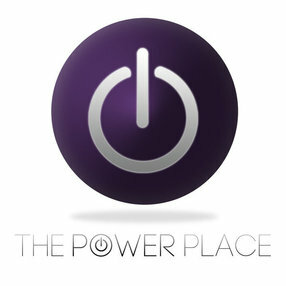 Enter your email address to receive an informative welcome email from The Power Place.